Oh man this was awful! I wanted to see that little brat skinned alive! The most overpraised horror film of the century. Not scary at all. Noah Wiseman's character was totally repugnant. The filmmaker made that kid WAY too obnoxious and by doing so, completely lost control of her film. This is a monster movie, alright. The kid was the monster. One of the most frustrating films ever made. very well done movie...thouroughly enjoyed it! Davis is brilliant in it. Well done! Very unique and genuinely creepy. Don't usually like movies this artsy but this was awesome. I watched this movie online months ago and loved it! If you love scary thrillers then this movie is for you. I'm glad to see it's hitting theatres, because it's a quality movie that deserves to be there! everyone's a critic! so i don't believe anything i say here will have any bearing to anyone who wants to see this or any other film. so i'll just say what i think. 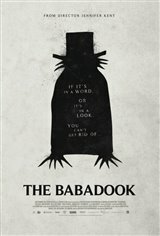 As a big horror fan i cant begin to say how bad this movie is. I can barely put it in to words how unpleased i am with film. it truly is awful and i wont go back to it. Moving on !!!!! !